The British Virgin Islands Tourist Board is responsible for promoting the BVI as a prominent Caribbean destination and driving tourism to the British Virgin Islands. Their work to supports the image and reputation of the islands and facilitates the quality and development of tourist areas. We work with the BVI Tourist Board on programs that build appreciation and awareness for the destination. After Hurricanes Irma and Maria devastated much of the Islands, we assisted in their relief efforts with programs geared toward fundraising and rebuilding initiatives, and communicating that the islands are open for business. 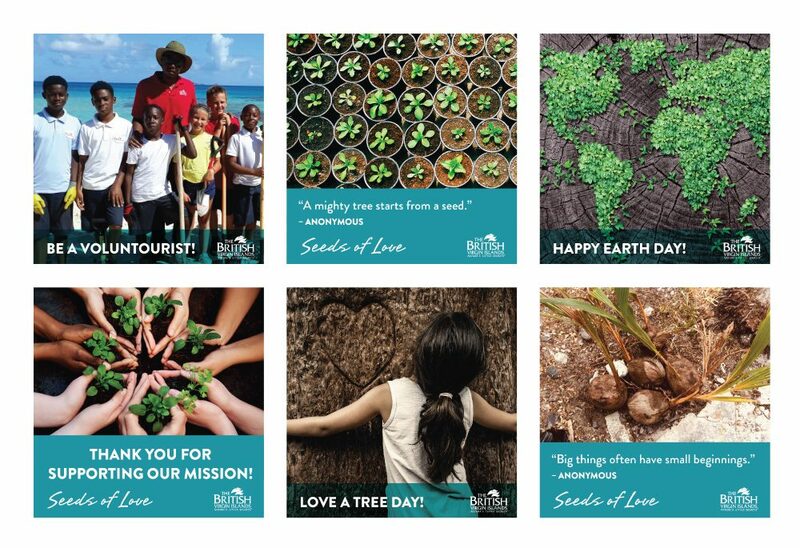 The “Seeds of Love” initiative was developed to promote and assist in the replanting of trees and indigenous plant species in the BVI. 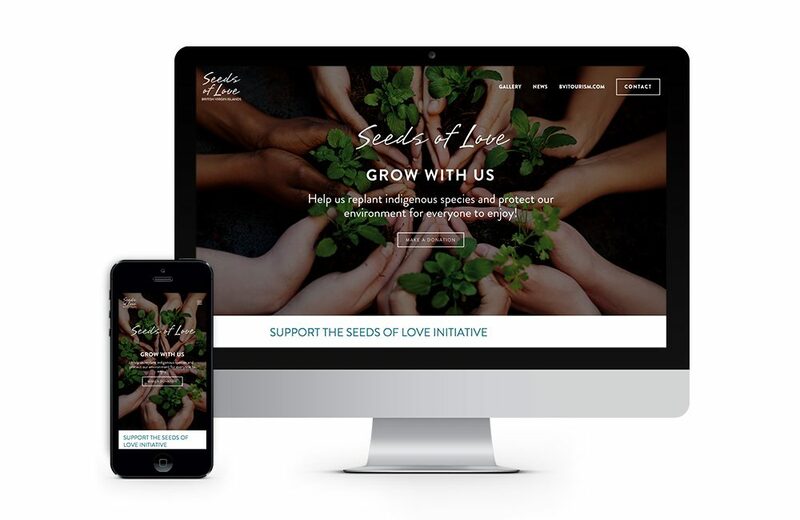 The program included strategy and program development, printed informational materials, website, promotional items, event banners and a social media strategy, content calendar, post content and graphic imagery. 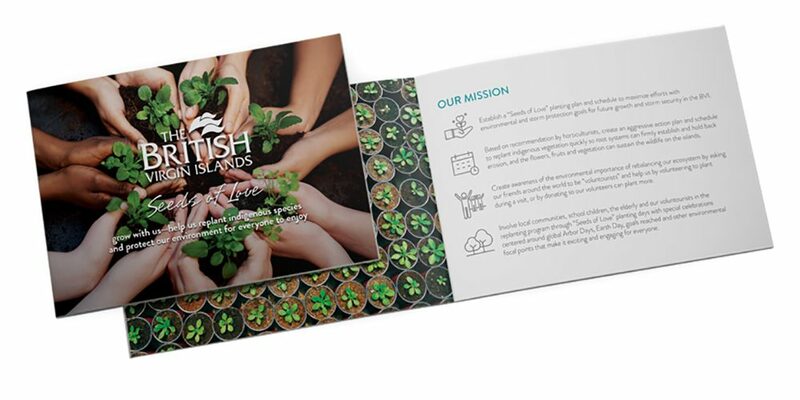 Printed brochure creates emphasis and awareness of the environmental importance of returning balance to the ecosystem, asking “voluntourists” to participate through donations or volunteering to assist in planting during their visit to the islands. 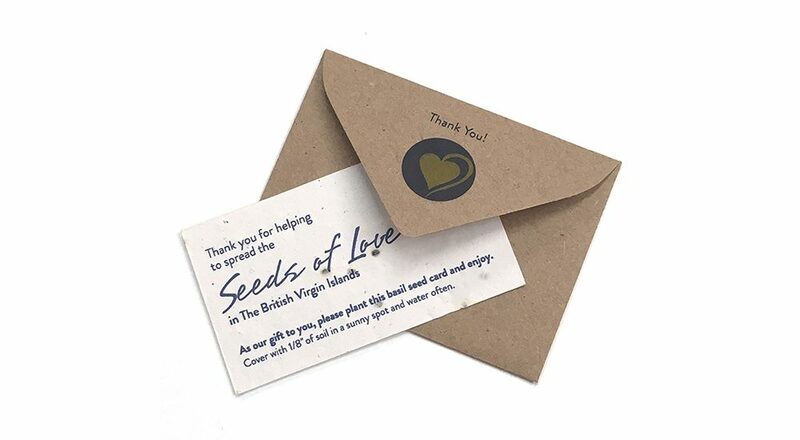 Donation thank you card printed on seed paper. Social Media posts create public engagement with the initiative. We developed a social media contest to promote that the British Virgin Islands were open for business and ready to host guests after the hurricanes of 2017. The goals were to reach a global audience, create excitement and interest in the islands, and raise awareness. Participants created and shared a video showcasing why they wanted to go to the BVI. We created the campaign look, messaging and a video teaser for the contest launch. 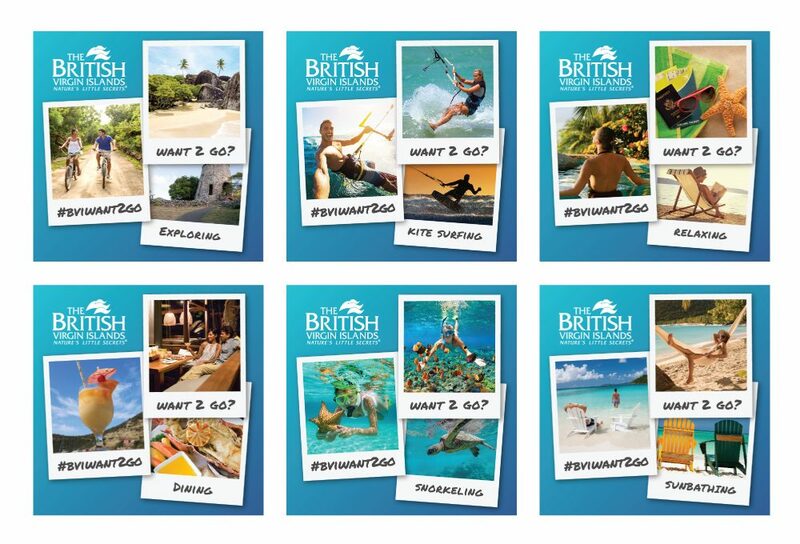 Social media placements build awareness and suggest why “BVIwant2go” highlighting all there is to see and do in the British Virgin Islands. Online video campaign to build awareness and drive entries and engagement.